This Brown and Black Dog and Cat Bow tie displays a striped pattern. 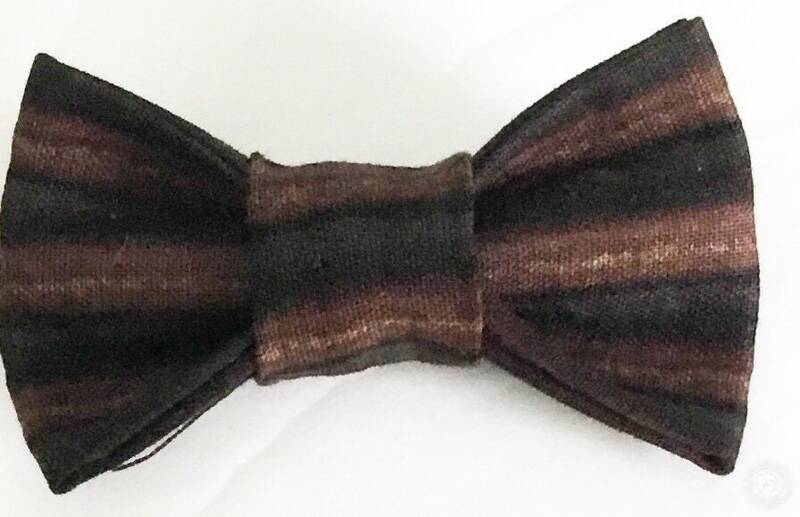 The bow tie attaches to the collar by the way of wraparound velcro which I have added to the back of the bow tie. It can be trimmed down to collar size as needed. This bow tie can be made with a matching collar and a matching flower.